Taken from my other blog: The Journalism Revolution. For my research project I am looking at the eroding influence of fashion magazines, due to the increasing popularity of fashion blogs. I do love to read magazines such as Company, Cosmopolitan or Look just to look at the newest seasonal items, what is coming to stores soon and for the features. However I do find that recently I have been buying magazines less and less because I can get similar content from blogs, Twitter and magazine websites. Bloggers are now invited to press days, just like journalists. 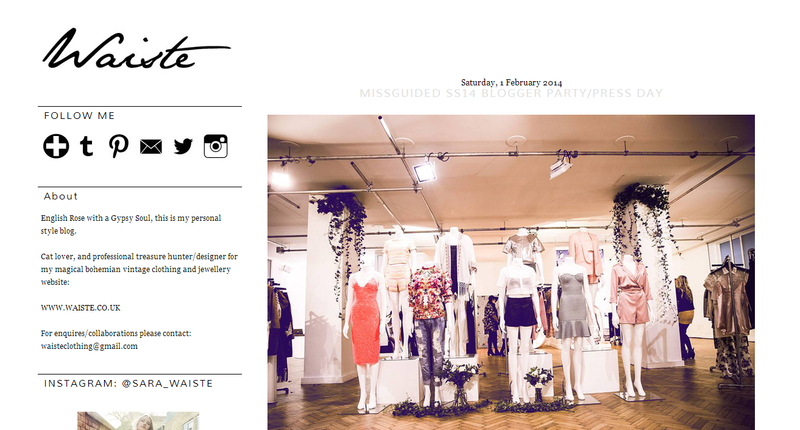 For example look at one of my favourite blogs, Sara from Waiste who recently went to the Missguided press day. Here she shows us what to expect in the future from online store Missguided. In the past it was the magazines who showed us this preview, now we can view the collection instantly online without having to wait for the next issue to go on sale. Bloggers have access to events just like journalists do. The internet and social media has made a big difference to journalism and journalists, not just those who specialize in fashion and magazines. As Evgeny Morozov states in ‘Think again: The Internet’: “Hefty international phone bills have been replaced by inexpensive subscriptions to Skype.” This applies to magazines and blogs too. Hefty magazine prices have been replaced by free blogs ran by people just like me and you. Readers can read what they can often see in a magazine, maybe more, and it feels more personal. They can interact with the bloggers and create a relationship. Gail J says: “I think online media will play an important role, or even become a bigger part than a magazine. People these days read and catch up with everything online including social media such as Facebook and blogs. Thus, some of them might follow the trend online more than just sitting at home and reading the magazines.” Blogging is instant, unlike print media. Magazine prices can be hefty, especially when it comes to high quality magazines such as Vogue. However, their sales and popularity has not seemed to decline. In 2011 The Huffington Post stated Vogue sales have not declined like many other fashion magazines and their reach actually increased. Although these are American figures, it does give a good example of how Vogue sales have increased: “Both Vogue and Vanity Fair had a 2 percent rise in total subscriptions, with Vogue increasing to 977,025 ” – The New York Times stated in 2013. I read Claire Allen’s Style Surfing changing parameters of fashion and communication – where have they gone? (2009) which is an interesting report on the transition from print media to blogs. Claire states why people may choose blogs over magazines as blogs allow you to “add your own comment to the blog article read. This now transforms the communication into an active relationship.” However she adds that despite this that passionate fashion lovers still read Vogue. Even those as young a 12 may not read Vogue but they know what it is as it is a popular medium and it’s influence still remains strong, despite the decline of other women’s and fashion magazines. 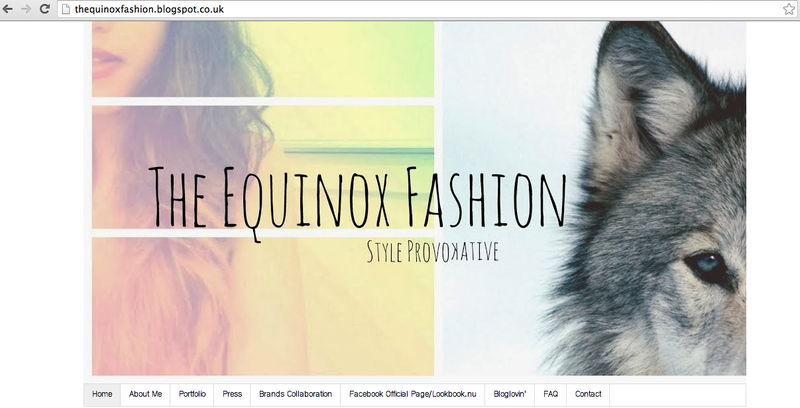 I spoke to Debbie Djordjevic from Handpicked Media, who work with brands and bloggers, about the eroding influence. Debbie agreed about the sale of Vogue and said those who are passionate about fashion will continue to buy Vogue. They like to have that physical product as it is such a well-known popular brand, it is important to passionate fashion lovers. Debbie added that bloggers give us that thought that we could be one of them, which we do not get this when we see top models in magazines or top fashion journalists writing for magazines. Bloggers are very accessible, you can talk to them and you can go out and afford to buy the clothes they are wearing.